How many times have you received comments on your WordPress site with Email IDs like abcd@gmail.com, user@example.com and wsdgn@kjdngkndfgdljtn.com? Well I’ve received many such SPAM comments and even though Akismet does a good job on catching them why allow them in? 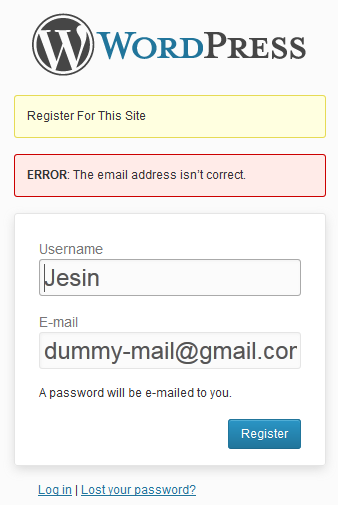 The current email validation methods only check for an @ and a dot(.) which is highly insufficient as 99% of spammers use syntactically valid emails. Mailgun an email provider run by Rackspace created an email validation service which goes far deeper checking emails. Performs the usual email syntax check. Checks the existence of the email domain. So user@some-random-characters.com can’t escape. Checks if the email domain has a MX record. So anything@example.com is caught. Checks if the username complies with the grammar of its ESP (Email Service provider). Eg Gmail doesn’t allow usernames less than 6 characters and hyphens so small@gmail.com and hyphen-user@gmail.com can’t get away. 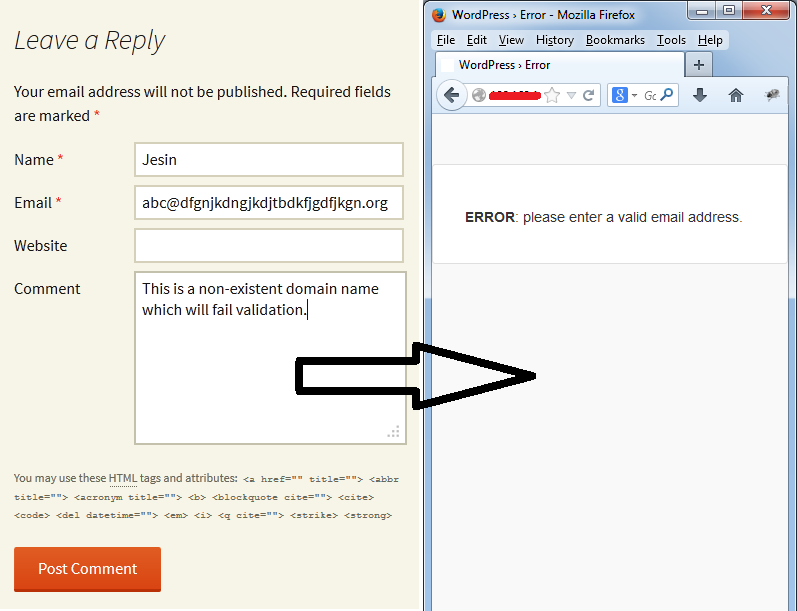 Integrates with the is_email() function of WordPress. So it works seamlessly with Contact Form 7, Jetpack/Grunion contact forms, WordPress registration form and any form which uses the is_email() function. This plugin requires a Mailgun Public API Key which can be obtained through a free sign-up at Mailgun (No credit card required). If you’re trying out this plugin on a local WAMP/LAMP/MAMP installation make sure your system is connected to the Internet for this plugin to contact Mailgun. This is an invalid email because Gmail doesn’t allow hyphens.